Check out these heatless curl tutorials see if any make your day. Heatless Curl tutorials you don’t want to miss, we all suffer from how to care for our hair, what right what not. Check out these heatless curl tutorials see if any make your day. 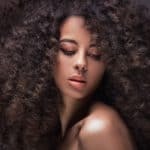 Are you guilty of over-using flat irons and curling wands to get the luscious curls you desire? It’s okay, so are we. We’ve all become best friends with our heat styling tools, but we also know that using them too often — and on extra-high levels — is one of the most damaging things you can do to your hair. It instantly zaps moisture while stressing and pulling your tresses, leading to dry, brittle hair. Sometimes using heat styling tools is okay but did you know that you don’t need them in order to achieve the curls you want? To help preserve your locks, opt for heatless curls. 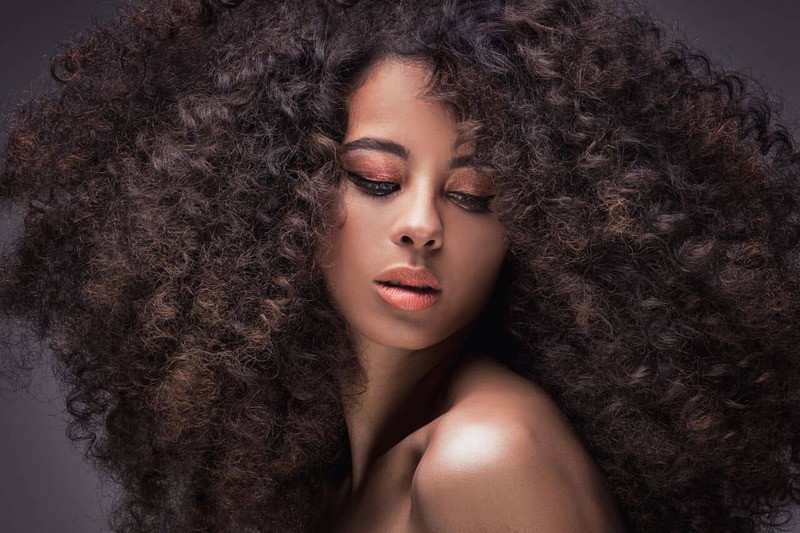 Give your hair a much-needed break from damage while letting your natural texture shine. Wake up with big, flowing curls or a head full of springy ringlets in half the time, with less damage. Read on to see the best 10 videos on heatless curl styling. You’ll wonder why you ever spent so much time on heat-styled curls. This tutorial is perfect for thick hair that hangs down your back. Simply part it down the middle, and twist each side back into a tight bun. This takes about six hours (or a good night of rest) for the curls to set. The next morning, gently take out the twists and separate the curls with your fingers, and you’ve achieved the perfect waves overnight! Start on freshly washed and blow dried hair. You can also try this with wet hair. Part your hair into four sections and secure each section with a Bantu knot. After a full night’s sleep, take the Bantu knots out and gently comb through for bouncy, vintage-inspired curls. This is perfect for the girl with fine, medium-length hair and natural hair. Start by pulling your hair into a ponytail, then separate hair into small sections. Spray hair with water from top to bottom, wrap around your fingers and secure with a hair clip or a bobby pin. Do this until all the hair is pinned. When you take it out, you will have beautiful, bouncing curls! This tutorial is great for layered hair or thick hair. The best part? It’s super-fast and easy. With the right products and natural hair, this heat-free look is to die for. All you need is freshly washed hair and a set of flexi rods. Apply mousse and a moisturizer to each strand before applying the rods to keep them soft and bouncy. When you take the rods out the next day, you’ll be happy to see a head of defined, shining, big curls. For this look, you’ll want to start with a texturizing mousse on wet, short- or medium-length hair. Wait for your hair to dry completely, then gently finger-comb. This is a quick and easy way to achieve messy waves on short hair (lob and bob length) in minutes. This is perfect for fine, straight hair and great when you quickly need a put-together look. This is one of our favorite looks for long hair! On dry hair, French braid each side and secure with a rubber band at the end. Use a control hold spray and spritz over the two braids. Wait approximately 20 to 30 minutes, then delicately take out the braids. Using the holding spray again, scrunch hair until your heatless, beach waves take full shape. Viola! We know, this sounds a bit odd, but trust us, it works! This look is amazing for frizzy and/or layered hair. With freshly washed, towel-dried hair, add in your favorite styling cream. Put your hair into a high ponytail and grab a few empty toilet paper rolls. Wrap sections of your hair tightly around each roll and secure with a pin or clip. When you remove the toilet paper rolls, you’ll have gorgeous and voluminous, no-heat curls within an hour. You’ll have to see it to believe it. You may be thinking, “How would a straw help me achieve curls?” They certainly can by following this tutorial. Spritz towel-dried hair with a bit of water so it remains damp. Wrap hair around each straw like you would a rod. At the end of each piece of hair, bend the straw and secure with a rubber band or bobby pin. Leave the straws in until your hair is 100% dry! When you remove the straws and separate the hair, you will be shocked to see perfectly bouncing spiral curls. For the girls with naturally straight hair, this look is for you. Add a bit of salt spray to give the hair some texture, then alternate twisting strands and scrunching as you go along. For the pieces framing your face, twist the hair away from the face. Try not to separate the hair or pull them apart for a piece-y, natural look. This tutorial is by far the easiest on the list. Last but not least, we have an amazing tutorial for those of us rocking a super-short pixie haircut. Use a foaming wrap lotion and curl-enhancing cream before applying rods. Comb down hair into the direction you want it to stay. Tie down the sides with a satin bonnet or something similar. When you remove the bonnet, the sides of your hair will be wavy and flat. For the top of your hair, all you need to do is apply the rods. When taken out, you’ll have that sought-after, curled pixie cut we all adore. Fwresh Dorchester salon offers a comfortable, friendly atmosphere, a friendly and experienced staff, that will make you look and feel your best.